You may have seen our recent blogpost on the importance of building your brand from the inside out. Indeed, good brand planning starts from within. But what happens after you’ve laid the foundation internally, and all your employees are on the bus? This is where the real fun begins. Now’s when you turn your focus to how you’re going to translate all those warm, fuzzy feelings to your customers. There are a thousand ways you can go about external brand planning. Yet all good marketing plans start with some basic components. These are the “must have” elements that all marketing professionals should think about when writing their external brand plan. To make things easier to digest, we placed all the elements into three main buckets: Organizational Profile, Market Assessment and Operational Plan. But we want to point out that the components described in this article are not locked down like Fort Knox. Instead, we encourage you to use them as a guide in crafting an external brand plan that works for you and gives you maximum bang for your buck. What your organization is all about. Who you want to reach. What makes you better than the next guy. One of the first things you want to identify in your external brand planning is your organization’s function. In other words, what purpose does your organization serve? Functions will vary across industries. For example, a hospital might exist to improve the overall health and wellbeing of people. A faith-based organization might function as a centralized location for resources to help churches grow. A statewide nonprofit might exist to help people gain easy access to human services. Regardless of what it is, it’s essential to name the primary function for which you want to be known. Equally as important in brand planning is understanding who you serve. In some cases, you may end up serving unknown or unintended audiences. And some in your organization may want you to target a new audience, even if it doesn’t really connect to your overall strategy. Your role is to define and refine these audiences before you begin key message development. As part of the brand planning process, you’ll want to pinpoint not only your primary audiences, but also your secondary ones. You can accomplish this, in part, through customer journey mapping and documenting key customer insights (anecdotal or otherwise). It should be pretty obvious what your primary audiences are. It’s people who have the greatest impact or influence on your organization—whether through revenue, growth, funding or otherwise. For many businesses, it’s those you want to buy your products and services. For fundraisers, it’s existing and prospective donors. In healthcare, it’s people who want to live healthier lives, or are sick, injured, or trying to prevent illness. As you begin to segment your audiences, you may want to keep the Pareto Principle, or the 80/20 Rule, in mind. In 1906, Italian economist Vilfredo Pareto found that 80 percent of Italy was owned by a mere 20 percent of the folks living there. What’s significant about his finding is that this distribution occurs quite frequently. In fact, the concept is often applied in the business world. We’re sure you’ve heard that “20 percent of your customers represent 80 percent of your sales.” And that “20 percent of your time produces 80 percent of your results.” Because of this, we encourage you to place appropriate focus on your primary audiences, or the top 20 percent. If you want to dig deeper on this principle, check out this great Forbes article. Secondary audiences might be a little harder to detect. But are important nonetheless. For example, in the case of the faith-based organization, the people in pews are likely impacted by decisions their clergy and/or laity leaders make. Therefore, you may need to consider their reactions and how they could potentially influence decision-making. Similarly, physicians and nurses play a big part in overall patient satisfaction. If doctors or nurses aren’t happy with, say, the level of communication within the organization, their “bad mood” can spill over into their interactions with patients. And, guess what? This can have a negative impact on patients and ultimately result in fewer appointments or referrals. Because of this, you need to make sure you’re considering the needs and feelings of the doctors and nurses. After you’ve determined what you stand for and who benefits from it, you’ll want to turn your attention to your market opportunities. This is the point in your brand planning when you’ll identify the area(s) where the organization stands the gain the most. Often, this follows in-depth market research that reveals customer perceptions, preferences, attitudes and behaviors. In some cases, you may need to start with an awareness campaign before you can jump to a revenue-driving strategy. Because people need to know you exist before they can engage with you. Keep in mind that once you reach the upper-echelon in some areas or markets, it becomes harder to achieve a perceptible, or statistically significant, improvement. If you’re already a market leader in a specific category, then don’t expect to see huge shifts in market share or brand preference. Let’s use a hospital example to illustrate this. If a hospital already has 90 percent market share in total joint replacements, then attempting to gain all the remaining 10 percent might not feasible. Instead, the hospital may want to focus on another area—such as maternity—where it doesn’t have as large a market share. This, of course, is only a good idea if there are a lot of young families and new mothers in the community and the hospital has what it takes to deliver exceptional maternity care. A side benefit of going after this new market is having the chance to build relationships with young, new families in the community and feed the pipeline. This is just one example of how making sure you’re focused on the right market opportunities, at the right time, is crucial to your overall marketing success. The final, and arguably the most vital, element in this category is your brand position. Some call this your value proposition. In other words, what service, offering, feature or benefit makes your organization attractive to current and prospective customers, volunteers or donors? This is where IronStrike spends a considerable amount of our time. We specialize in helping clients craft their story—starting with the development of their mission, vision and values. From there, we help them identify their unique selling proposition, or USP, and other points of differentiation. And then we round it all out by helping them articulate their key messages and associated proof points. It’s all a part of the internal communications that we feel are so vital to a healthy, vibrant organization. Now that we’ve gone through the elements for your organization’s profile, let’s switch gears and focus on some other crucial components of any good brand plan. When developing a SWOT analysis, we recommend taking in lots of information and data from many sources and then whittle them down to the top 5-7 key factors in each group. And remember that your strengths and weaknesses are more internal-focused and your opportunities and threats are more external-focused. Here are a few areas to think about when developing your SWOT analysis. After you’ve developed your prioritized SWOT, you’ll also want to take time to assess the competitive landscape. Here, you’ll want to look at your key competitors at all levels from local to international, if applicable. During this assessment, be sure to explore the brand positioning and key messaging for each. Take note of how your competitors talk about themselves in the marketplace. And consider what you think are their greatest strengths and weaknesses. Don’t forget that some of this information may emerge during your SWOT analysis conversations. So be sure to capture those points and incorporate them into your competitive assessment. In addition to assessing your competitive set, you should spend some time doing situational and environmental analyses as part of your brand planning. Here’s a look at some of the things you may want to evaluate in each category. While much of the environmental analysis can be done with some good brainstorming discussions, the situational analysis may require some additional research. At IronStrike, we support brand planning by helping clients identify some of the issues, barriers, opportunities and perceptions via qualitative research done through surveys, focus groups and 1:1 interviews. Defining your strategic intent is best to do after you’ve assessed all the above. Your strategic intent is designed to give your staff an idea of what the organization wants to attain in the future. In other words, the aspirational statement that shows where the organization is headed. If done right, it should push the organization out of its comfort zone—and it may seem difficult, or even impossible, to achieve. The purpose is to inspire and motivate people to shoot for the stars. Many times, your strategic intent sits at the top of the funnel and is the beacon for all the other brand positioning elements like your vision, mission, values and messaging. All the knowledge and insights you gain in doing the above work will make putting your operational plan together all that much easier! The first thing you’ll want to define are your SMART objectives. Those that are specific, measurable, achievable, relevant and time-bound. The purpose of these objectives is to identify exactly what you plan to do to reach a goal, and by when. Everything else you do in this bucket should tie to these objectives. And remember, objectives are not goals. Goals are broad statements of intent (e.g., increase market share or sales). Objectives explain the path you’ll use to get there. You can use a formula like this to write your SMART objectives: By [date], gain [percentage] of [specific market] from [specific audience/market]. After you’ve established your objectives, you’ll want to think about the specific strategies you’ll use to try and achieve them. You may want to create a comprehensive campaign that’s designed to drive awareness of a new program. Or you might need to develop an onboarding and training program that’s centered on customer service. It could be that you want to ramp up advertising that focuses on the benefits of a product or service. While it may be tempting to try many different strategies, we encourage you to zero in on only those that will help you achieve your objectives. Your strategies will inform specific initiatives or programs designed to help you reach your objectives. 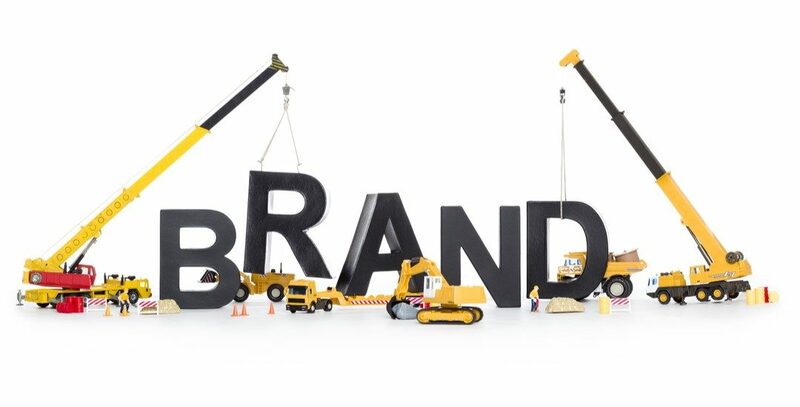 For example, if you’re introducing a new brand, you may elect to develop a full-scale advertising campaign that includes TV and print ads, billboards, digital ads and social media outreach. Similarly, if you want to attract new patients to a hospital, you might develop a robust seminar series where people can learn more about procedures, doctors and recovery options. In each of these examples, there are a lot of other tactical elements that must be developed for the initiative to be successful. This is where you get into a lot of nitty-gritties. But thinking about these things on the front-end will save you a lot time, money and headaches on the back-end! As you’re developing your programs, remember to match them with the appropriate audiences. And think about how your messages might resonate with each of them. The language and tone of direct-to-consumer and B2B communications are quite different. So, while you can get away with more technical jargon with a surgeon, you’ll likely have to simplify that same message when talking to a patient. Part of good brand planning is making sure you’ve allocated appropriate resources to support your efforts. Unfortunately, many people either overlook this step or it’s more of an after-thought. We encourage our clients to make sure that the budget is a part of the discussion from day 1. And that it’s distributed in a way that aligns with the organization’s primary goals and market opportunities. Just like budgets, timelines are crucial to the overall success of a brand plan. Without a timeline, it’s easy to get off track and not accomplish the things you set out to do. So, be sure to map out timelines for each program as part of your brand planning. Doing this allows you see when and where initiatives overlap to help with the allocation of human and financial capital. There’s no doubt external brand planning takes time and energy. But remember that nothing worth having was ever achieved without effort. So, we encourage you build upon the momentum of the internal communications work you’ve done and build an external brand plan that you and your organization can be proud of. Want some help getting started? Give us a call!